If you’re nearing retirement age, you’ve probably given some thought to swapping your family home for something a little smaller and easier to manage. Retirement homes tend to be cheaper and easier to maintain than the typical family home, freeing up more of your time and money to spend doing the things you love. Downsizing can also help you to release equity from your current home, meaning it’s a good option if you’d like to free up some cash to spend in retirement, or perhaps to help buy a home for your children. It’s never too early to start planning for your future, and there’s a wide range of retirement homes available to suit your individual needs and budget. Whether you value your independence and social life, or you’d prefer the peace of mind that round-the-clock security and care facilities can provide, there are plenty of options to choose from. Just read on to learn about four different retirement properties, and which one could be the right choice for you. A bit like a bungalow, a park home is a small, detached home set on a private estate of similar properties, often with landscaped gardens. They tend to be located in rural areas, so if you like the idea of a quiet retirement in the countryside, a park home could be the perfect option. This type of home is also a good choice is you value a sense of community, as you’ll be moving into a ready-made network of like-minded people. Park homes are usually single-storey structures, and are often designed with the needs of retired residents in mind. That means they tend to be more accessible for those with disabilities, so you won’t need to move should your mobility change as you grow older. Park homes are also usually much more affordable than traditional retirement bungalows, with prices starting around £25,000 — so, if you’re looking to unlock equity from your current property, a park home could help you to free up a sizeable lump sum. You can find out more in this guide to buying a park home from Goldshield, including the average costs and fees involved, and what the buying process is like. Sometimes called ‘lifetime homes’, a specially adapted home is an ordinary residential property that has the potential to accommodate your changing needs as you age. Originally designed to help cater to an aging population, lifetime homes are built according to a set of standards which give them the potential to suit older residents. For instance, this sort of home will need to include enough room for a stairlift, a space outside the front door for a wheelchair ramp, and a downstairs toilet (or at least the space to install one). You can learn more about what to look for in this guide from Lifetime Homes, which explains the facilities and design features that this sort of home should offer. For many people, lifetime homes are an appealing prospect as they allow you to retain your independence, freedom and privacy, with the owner free to dictate how they live their life and manage their property. This sort of home tends to be on a new-build housing estate, rather than in a gated retirement community, meaning they’re a good option for those who like to live among a variety of people of different ages. They’re also available in a huge choice of locations, which means that lifetime homes may suit those who want to live close to family members. 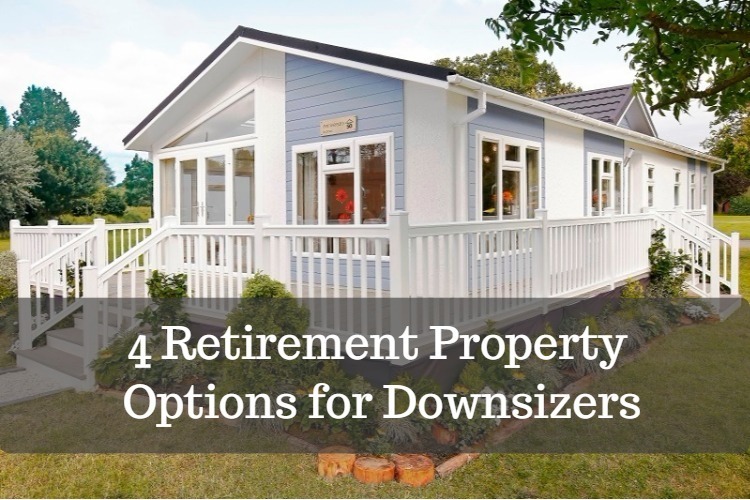 However, if one of your reasons for downsizing is to release equity, then this sort of home might not be the best option for you. Lifetime homes can be more expensive than other retirement properties, and you’ll have to factor in the potential costs involved in renovating them as you get older. So, if releasing equity is your goal, you might want to consider more affordable properties instead. Retirement villages are age-restricted estates designed exclusively for older and retired residents — usually only those who are aged 55 or older. They may consist of purpose-built flats or small houses, which are inside a gated complex for extra security. Retirement villages are a great option for those who are looking to downsize to a smaller, more manageable property. There’s also plenty to do: many luxury villages boast a wealth of facilities, like swimming pools, parkland, tennis courts, and even driving ranges, meaning they’re perfect for those who are looking for an active and varied retirement. And, best of all, you’ll be among an active community of people who are just like you. However, for many people, the major drawback of retirement villages is the cost: they can be expensive, especially the management fees. Some villages also charge an ‘exit’ fee, to be paid when the property is re-sold, which means that, if a resident passes away, their family may have to pay up. And, while they can cater to residents with less independence or disabilities, they generally offer less support than assisted living facilities. So, they’re not necessarily the best options for more vulnerable residents. Often seen as a midway point between residential care and independent living, assisted living offers many of the benefits of residential care with the independence of a private flat. They may comprise purpose-built flats, or small, semi-detached bungalow-style accommodation. The idea is that residents retain some of their independence and social lives, but with specialist care on hand should it be required. You can buy a unit in an assisted living facility and pay yearly fees for the additional care service, or you can rent one, meaning there’s a degree of flexibility to suit different financial needs. Assisted living offers many benefits for older residents: for starters, it’s safer and more secure than independent accommodation, so it’s a great choice for those who may feel vulnerable living alone. There’s also a sense of community with the other residents, and you won’t have to worry about falling ill, as on-site care wardens can be summoned at any time. Some properties even include a full catering service, meaning there’s no need to worry about shopping or cooking. However, they can be expensive, especially given the cost of the yearly care fees. Units can also be difficult to re-sell, with many buyers making a loss on their purchase if they need to move again. There may also be limitations on how you live your life: for instance, pets may not be allowed, and you may only be able to receive visitors at certain times. 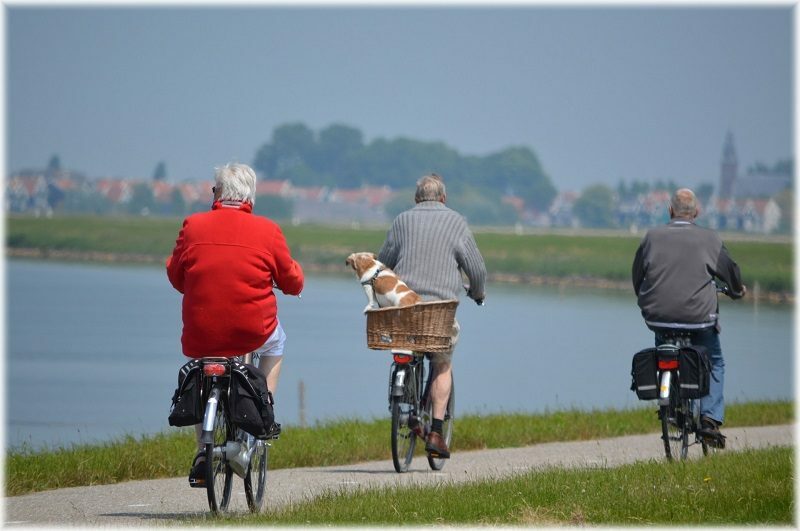 Growing older doesn’t have to mean sacrificing your independence or moving into a residential care home. With such a diverse range of options on offer, there’s something to suit everyone. Just bear our tips in mind, and you should have no problem finding the perfect retirement property for you.